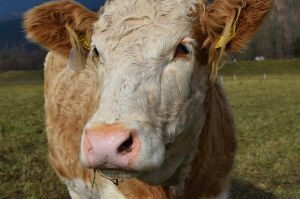 The Federal Service for Supervision of Consumer Rights Protection and Human Welfare reports that according to the Institute of Experimental Zooprophylaxis of Tuscany and Lazio, the veterinary inspection in the region of Rome has laboratory confirmed the presence of anthrax in 4 dead cows. This is research data from August 28. "According to the long-term observations of the IZSLT epidemiological service, this region is endemic for anthrax, but cases of bovine disease are sporadic, thanks to a preventive vaccination since 1950. Experts believe that the outbreak could be caused by an unusually long drought, "Rospotrebnadzor reports. Earlier, on August 26, the Italian Ministry of Agriculture notified the World Organization for the Protection of Animals about 9 deaths of cattle from anthrax in the regions of Lazio, Rome and Rocco di Papa. The national laboratory of IZSLT officially confirmed this diagnosis.